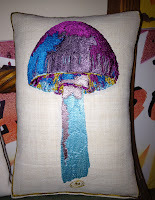 The inspiration came from a wild orange, brownish white mushroom. 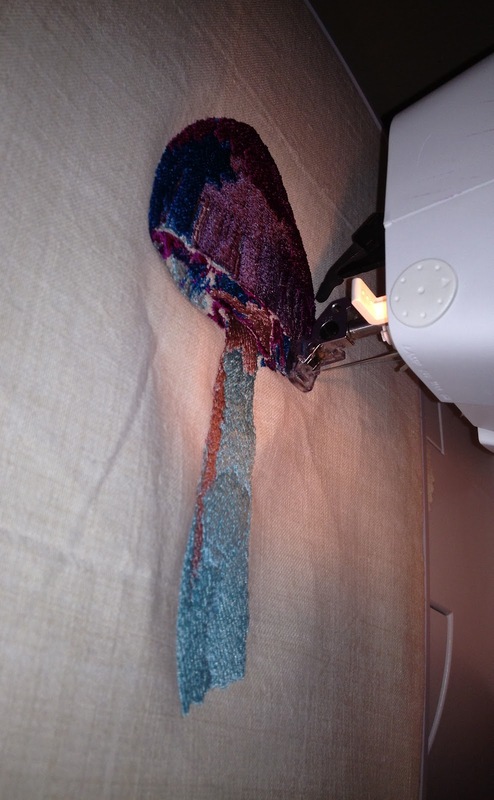 I had a collection of Pastel threads that I thought would bring the artistic look and texture to the design. 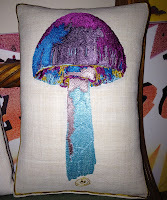 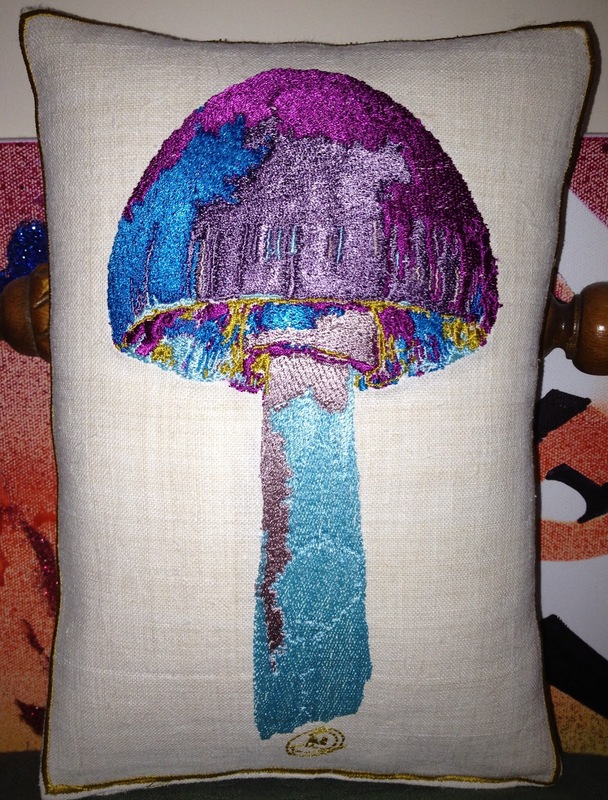 The end result, this lavish mushroom cushion throw, the colour choice from my daughters dreams. 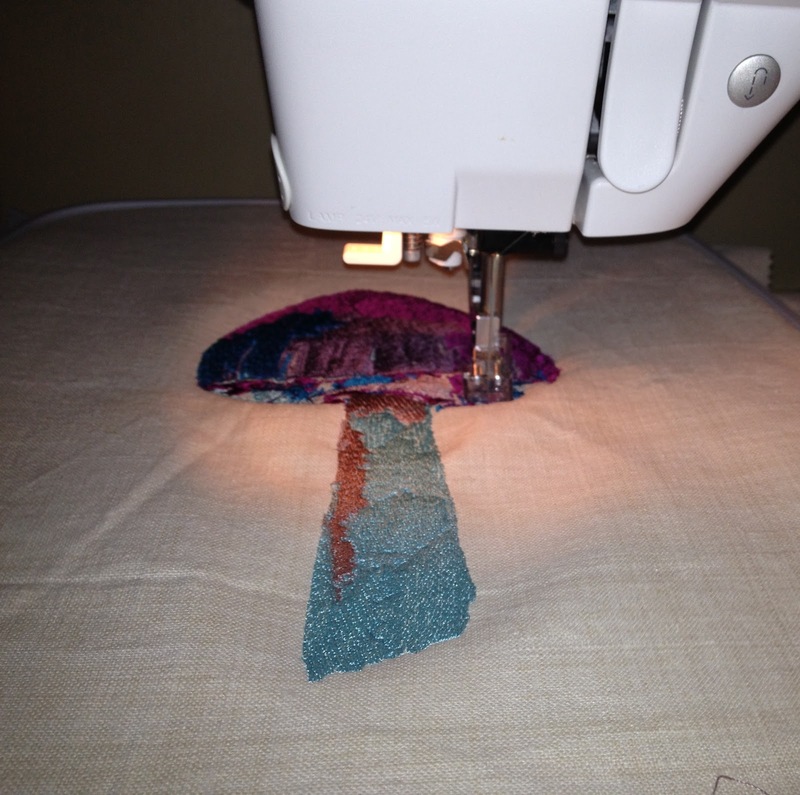 Her name, Hope. 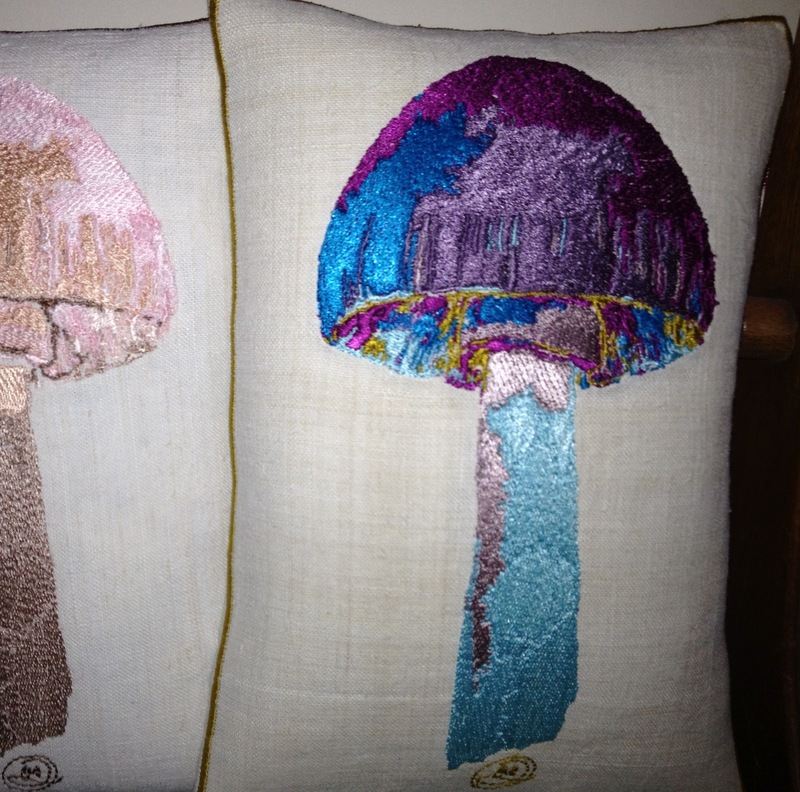 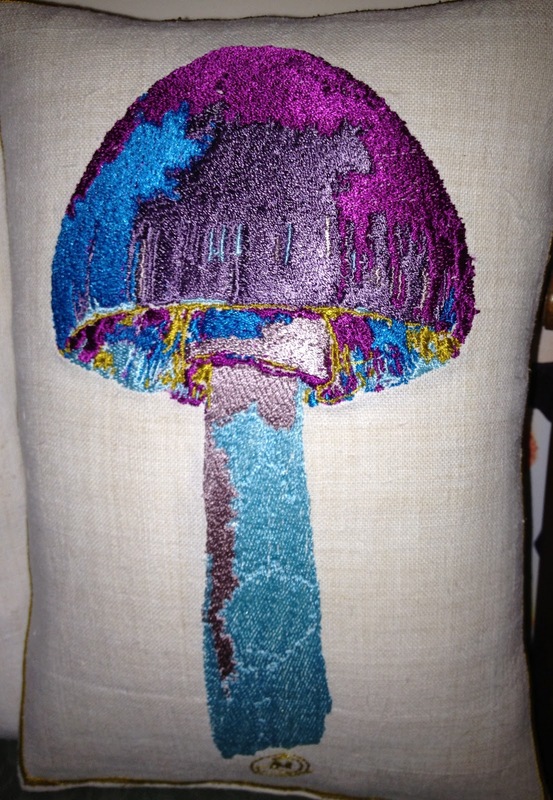 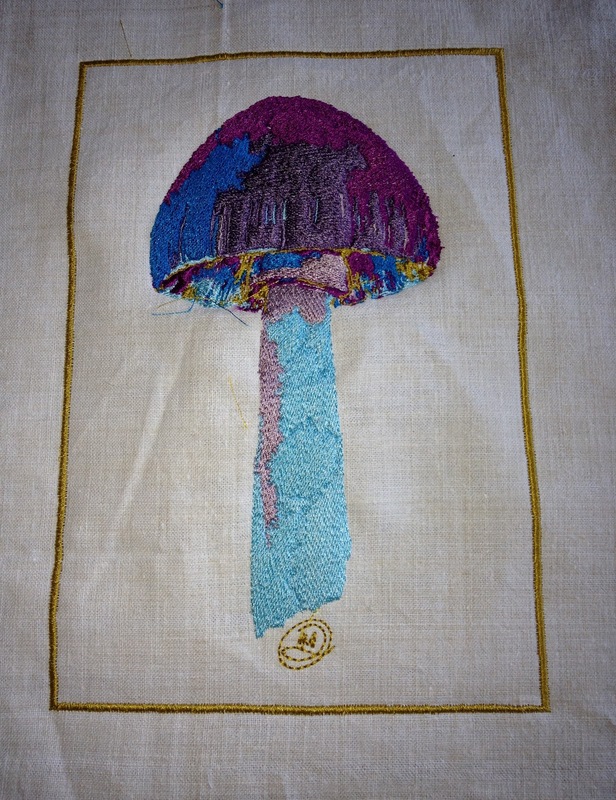 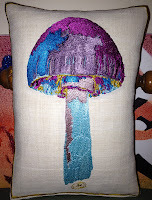 Vintage Linen with embroidered wild mushroom in purple, Blues and Gold. 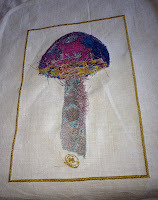 Gold embroidered Boarder all the way round gives it a luxury finish. 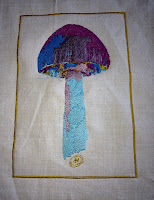 Over 49,000 stitches, signed LMD in the design. Note: vintage material may vary slightly, markings may vary due to age.